Our Easter was a little strange this year. Instead of being woken in the wee hours by excited children hunting eggs, I was actually wide awake at Darwin Airport in time to board our Tigerair flight back to Brisbane. It was surreal to spend the early hours of Easter Sunday in the air, trying to catch some sleep ahead of our drive back to Kingaroy. Luckily, the plane wasn't full so we were able to spread out. Chase was impressed to get a whole row to himself, though Harmonie and I elected to share. We landed smoothly and on time, and were on the road to home in no time. I was pretty tired after the flight, and it was only when we were halfway home that Chase said: “And by the way, Happy Easter' that I remembered what day it was! 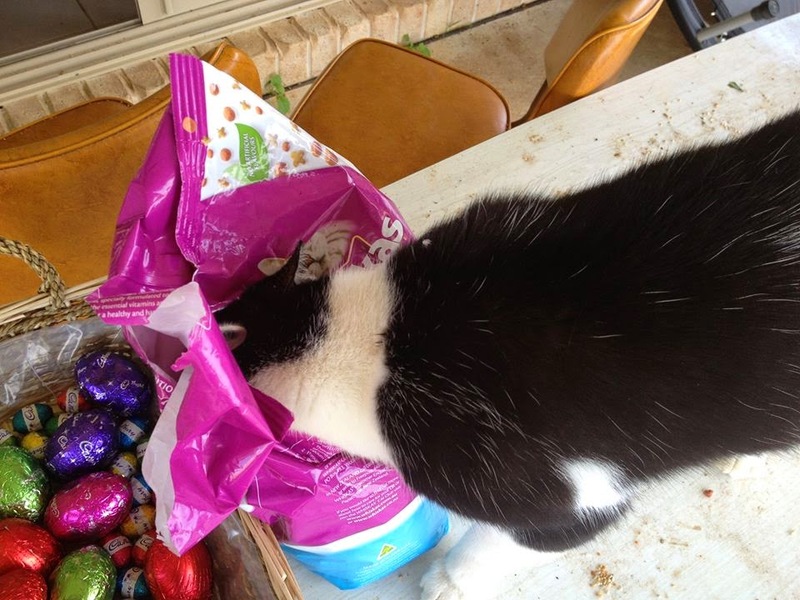 The Easter Bunny's 'assistant' hadn't any luck at finding eggs in non-crushable boxes in Darwin before catching the flight. And she had failed to ask Mr J. to do so on her behalf earlier, so for the first time there were no eggs or bunnies for the kids. 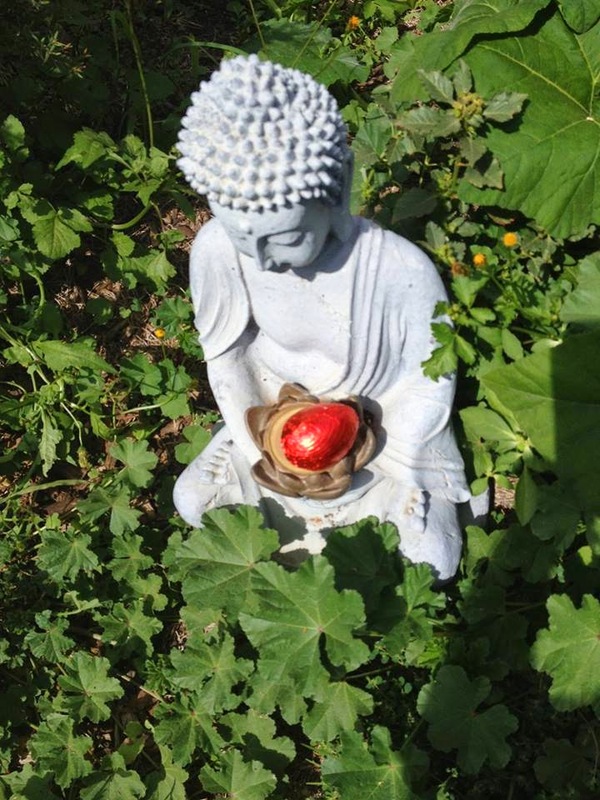 They were happy with Lindt Lindor chocolate balls instead. Now that they are 13 and 11, I guess they're up to scratch with the whole Easter Bunny caper, so it was cool that the milestone was reached without any upset. It was nice to come home to a welcoming committee instead of an empty house. Mr J. was waiting, and had even taken time to clean the house, catch up on our washing, and fill the fridge while we were gone. Talk about a Sensitive New Age Guy! We spent the rest of the weekend relaxing and hanging out, as the kids rested after their trip and prepared for another term at school. The shops weren't open in Kingaroy on Easter Monday, except for our local IGA, which had unfortunately run out of Easter eggs and bunnies. In fact, it wasn't until during the week that I discovered that Big W had a few left, and the kids were able to do their annual Easter Egg hunt! Better late than never I suppose ... and certainly the children were happy enough. As for Tigerair, we were really happy with the flight, comfort and service. The new route from Brisbane-Darwin (and there is one from Brisbane-Cairns as well) is making travel more affordable for Aussies. Regular readers will know that I was invited to fly the inaugural Brisbane-Darwin flight with Tigerair Australia. Because it was the school holidays, and the kids' Dad lives in Darwin, Tigerair were kind enough to fly the kids up and back with me. That gave Chase and Harmonie a chance to catch up with their father and his partner, while I did my travel writing thing, and I was very grateful for both opportunities. To be honest, NT has never been high on my list of places to visit. I'm not a big fan of crocodiles and snakes, and I guess it had always seemed too far away and expensive to visit until now. But I was unprepared for how beautiful the NT is, and how much there is to see and do there. Way more than crocodiles and snakes, not that there is anything wrong with that! My colleagues and I spent a hectic week fitting in as much of the Northern Territory as possible. There will be posts on all the highlights. I could quite easily have stayed on longer, experiencing the laidback, outdoorsy lifestyle, and the absolutely incredible national parks. They really have to be seen to be believed. I came literally face to face, and eye to eye with a giant crocodile called Chopper, held a python called Monty, and received a cuddle from a frilly neck lizard, whose name I cannot remember. It was the first time I'd been cuddly with a reptile, and I was a bit nervous! We also cruised the harbour at sunset, learned about the bombing of Darwin during World War Two, and explored the wetlands and Litchfield National Park. My room at the Novotel Darwin Atrium was gorgeous – not that I got to spend much time in it. Enjoying a bubble bath and having a king-sized bed to myself at night was a treat though. Tigerair CEO Rob Sharp says the flights (from $99.95 each for Brisbane-Darwin and from $62.95 for Brisbane-Cairns) are bringing the top end a new-look Tigerair that is focussing on delivering the best in safe, affordable, reliable air travel with friendly service. The customers are key, and in fact the new flight routes came about directly as a result of customer feedback. “Darwin represents a gateway to the quintessential Northern Territory outback that thousands of budget, leisure and adventure travellers have on their personal bucket lists to go and experience,” he says. “We’re a volume business and our network evolves based on demand for our services. Minister for Tourism Matt Conlan said that adding another budget airline route to Darwin would stimulate more price conscious travellers to Do the NT, whilst allowing cheaper access to Brisbane for Territorians. “This is great news for Darwin and for the Territory and once again underlines the confidence in the NT’s tourism industry,’’ Mr Conlan said. 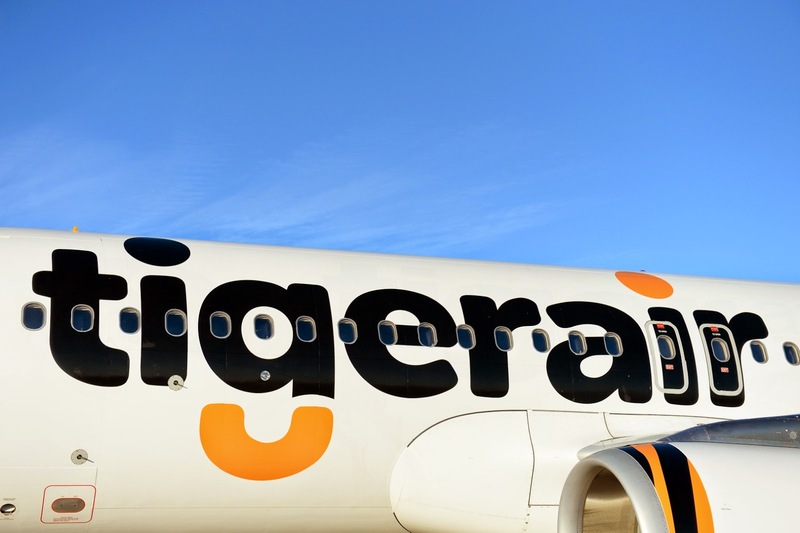 Tigerair has received some bad press in the past, but this is the new-look Tigerair. All the planes are new or only a few years old, and having provided budget-friendly flights, they are now committed to getting passengers to their destinations on time. If they can keep up the standards we experienced during our trip, they certainly will succeed. Book as early as possible to get the best deals. Travel without luggage or as little as possible to save money. Passengers are allowed 10kg hand luggage, which is pretty generous. You can pay extra for seats with extra leg-room like exit seats. But if they haven't been sold, you can ask to be seated there on check-in (or check yourself in via the web) for no extra charge. On-board food and snacks can be pre-booked to save money. Take entertainment if you think you'll need it, because there's nothing available really. Cool if you can sleep on planes, but not if you need to be busy - or have kids. My two loved their iPads, and Miss 11 also used her rubber band loom kit on the way up. She and I managed to nap on the return trip, while Mr 13 listened to music and played on his computer. Take a blanket or wear something warm (layers are best) in case you get cold in-flight. Tiger doesn't provide blankets or pillows. Miss 11's favourite pillow pet was a Godsend. Disclosure: Tigerair flew the kids and I to Darwin so we could check out their services and I could experience and write about some of the hightlights of the Northern Territory. This was very similar to our Easter except we realised whilst in a hotel bed at the airport that the next day was Easter. The Easter bunny did a made dash to the IGA and found very little chocolate! !